Our Head Over Heels blog team loves when we here from Perfect Wedding Guide photographers Classic Photographers. Director of Business Development Keith Phillips shares some amazing advice about your wedding and photography. Here’s what Keith has to say about getting the photos you want on your wedding day. Wedding planning is one of the best times in your life as you design your dream day with your soon-to-be spouse. Most couples would also say that it can easily be one of the most stressful, right down to the wedding day itself. There are a lot of details to oversee and with an occasion so personal to you, it can be hard to let go of a little control, especially with your wedding photos. So, what’s the secret recipe to getting the beautiful, romantic shots you want, while letting go of the reins just a little bit? First things first – think about why you’re unsure of letting go of the reins. It can be tempting to give in to the opinions of family members, but they may not necessarily match up with your vision of your wedding album. Remember that above all, you have the final say when it comes to your photos. Ultimately, it’s your big day. That being said, it’s important to absolutely keep family and friends’ opinions in mind if they’ll be included, or if they plan to cover the costs of your photographer. Consider coordinating and distributing a timeline and shot list to your family and bridal party to prepare everyone and keep them in the loop. Saying that all of your closest friends and family will want to be involved in many aspects of your wedding planning isn’t new news, but it can be overwhelming all the same. No one wants to be left out, and staying properly organized and communicative with your wedding photographer will eliminate that worry. The old saying “too many cooks in the kitchen” applies here. You will want to keep one person as the spokesperson to communicate directly with the photographer, ensuring that there is no confusion or conflicting information given to them. There are a lot of details involved when planning and getting all of the shots you want, so it’s better to outline a master list ahead of time to avoid any risk of important photos being left out. Being the hands-off, go-with-the-flow couple isn’t a bad thing. 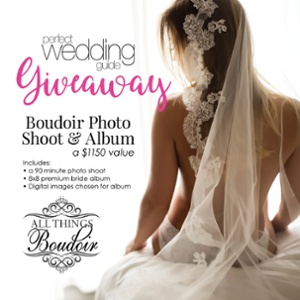 If you don’t necessarily have a list of must-haves when it comes to your wedding album, choose your photographer based on portfolio style and trust them to do the rest. They’ve done many weddings before and can help guide you through the day. Most of the time, couples are nervous about formals and how to pose. Let the photographer guide you through the posing and have fun! Our ideal scenario is for both you and your future spouse to be as relaxed as possible and above all – to enjoy your big day. The best photographs aren’t always staged or posed; more often than not, the candid moments capture real emotion and romance.